The world just lost another great mind and communicator. Hans Rosling was unique in his ability to make statistics fun and fascinating – both by the enthusiasm in his voice and the spring in his step and by his fantastic way of visualizing otherwise hard to grasp numbers about the fate of billions of people. His truly eye opening and funny talks needs to be seen to be appreciated fully, but we feel like we’ve found one talk, maybe his only, that works pretty well with audio only (But if you want the best experience you can watch it here). When you’ve listened to this you should definitely go over to TED.com to watch his other nine talks. Rosling was always the optimist, showing us that the world is a much better place than most of us thinks. But in this short talk he also warns that climate change is a real risk to our future and that we need to reduce our energy consumption and make more of it green. And when you’ve realized the power of his data visualizations go to the website of the organization he started, Gapminder, to play with them yourself. His vision of a fact-based world view that everyone can understand lead hime not only to talk with conviction and compassion, but also to share all the data from Gapminder under a Creative Commons Attribution license, which lets anyone use, mix and spread them as much as they like. This is a vision and ethos we share here at Kurator, which is why we are so saddened by this great loss, but also so thankful for what Hans Rosling did to make the world less ignorant – and so sure that he would be delighted if we all remember him by sharing his message of hope, joy and responsibility to keep making the world a better place for those who are still kept down in poverty. 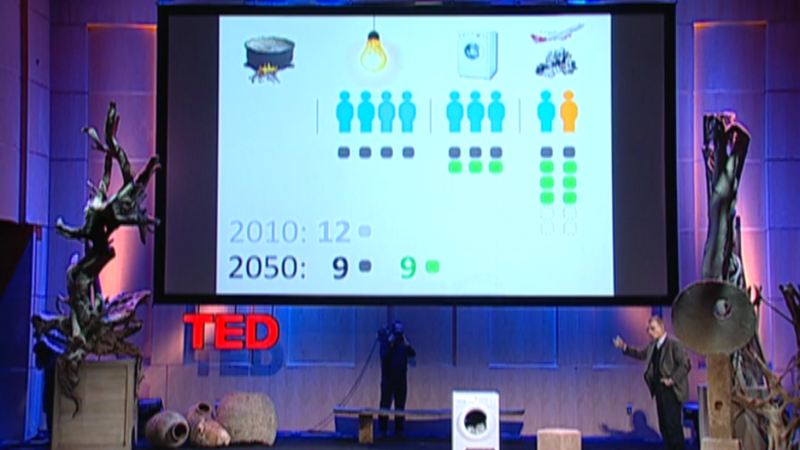 This presentation was Hans Rosling’s talk at the TEDWoman 2010 conference and shared by the TED foundation under a Creative Commons Attribution–Non Commercial–No Derivatives 4.0 license.